California-based Cleveland Golf was founded in 1979 to design replicas of classic 1940s and 1950s golf clubs. Today, the company focuses on producing golf clubs and accessories with classic styling. The company has endorsements with dozens of tour players worldwide. 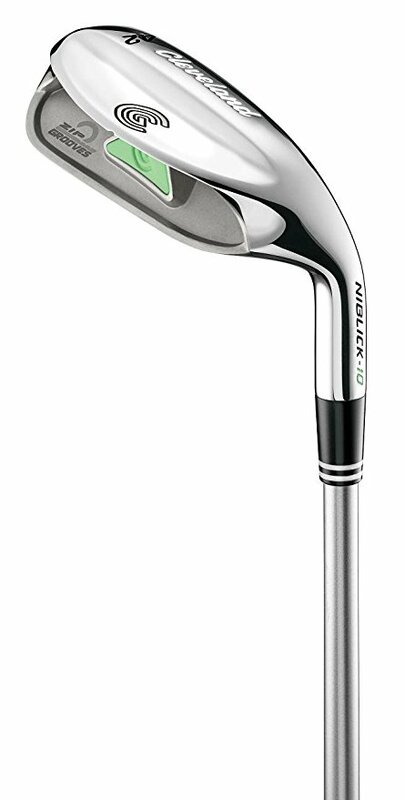 Cleveland Golf’s Niblick line has been praised for its versatility; the clubs function like a hybrid and are able to hit four types of shots: chips, pitches, recovery, and approaches. The Cleveland Lady Niblick Bloom Wedge offers this key feature in a wedge designed specifically for lady golfers. The Zip Groove Technology, a Cleveland exclusive, engineers the clubhead with milled grooves for optimized spin and better contact with the ball. The wedge’s two key features are its Zip Groove Technology and GelBack Technology, both Cleveland exclusives. Cleveland Golf has designed their clubs with Zip Groove Technology, which creates deeply milled grooves with specialized coating for protection. These grooves channel debris away from the ball for better contact with the ball, controlled spin, and optimized distance control. GelBack Technology involves a lightweight and elastic-like material placed directly behind the club’s hitting area that creates an ideal level of feedback. Testers have described the Cleveland Lady Niblick Bloom Wedge as “visually striking” with its shiny, smooth silver finish and rounded lines. With its high moment of inertia, reviews experienced greater forgiveness and longer distances with this wedge. Even mishits still achieved a great distance and straight lines, while dead center hits had a lot of power. Overall, the Bloom Wedge should serve as a performance-enhancing piece for women to have in their bag, especially for improving players looking for increased confidence on the course.